Printed and re-printed more than 150 million times, existing in thirty-eight translations of foreign languages, spawning a variety of scholarship, prompting viral graffiti (Frodo lives! 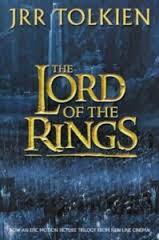 ), having a museum, providing the impetus for multiple films, adaptations, and a host of derivative literature (for better and worse), and having millions of millions of fans around the world, its fair to say The Lord of the Rings has made its mark in the world of literature. A watershed event, the novel put epic fantasy on the map half a century ago and remains the seminal influence on the genre. But the book had different beginnings. Tolkien’s finished manuscript languished in a drawer for about a decade. Epic fantasy’s lack of presence in the market the major decision point, no editor was willing to take the risk of publishing such a massive tome at a time when fantasy was thought dead in the aftermath of the pulp era. Giving in to publisher request, Tolkien eventually conceded to the book being broken into sections, paving the way for The Lord of the Rings to be released as most readers are familiar today: The Fellowship of the Ring, The Two Towers, and The Return of the King. Perhaps surprising, the books were not an immediate success. A word-of-mouth movement in the UK, however, combined with the sales and distribution of non-copyrighted versions in the US, set the book squarely on the road to success, a facet pushed over the brink by the overwhelming popularity of Peter Jackson’s films at the turn of the millennium. This March (2013) we took a week-long ski trip to the Dolomites in Italy. A very specific part of the European Alps, I don’t know if the week could have been more beautiful or gone any better. The scenery, skiing, food, evenings relaxing, and company were first class. My only regret is that the trip was just a week. Here are a few of the photos. This is the town of Moena where we stayed for the week. 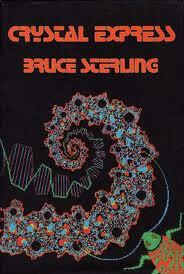 Crystal Express is a 1989 collection of Bruce Sterling short stories published between 1982 and 1987. A variety, five of the stories are set in his Shaper/Mechanist universe made popular in Schismatrix, three are general science fiction, and four lean toward the fantasy end of genre. The stories grouped along these lines, the following is a brief summary of each. “Swarm” (1982) – Certainly one of Sterling’s initial forays into the S/M universe if not the first, this story is poorly written (it has almost a cartoon presentation), but does a solid (if overt) job of delineating the differences between Shapers and Mechanists. Otherwise, it is the tale of two people trapped inside an asteroid filled with Investor youth and their plans for genetic modification. “Spider Rose” (1982) – A heavily modified Shaper working alone as a deep space miner finds an unusual object for trade. But the Investors who come looking to haggle have more than she bargained for. A better written story than the first, not to mention containing more imagination, things turn out like no one could predict. But then, that’s Sterling’s point when post-humanism is at play. 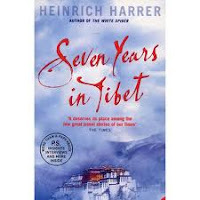 Undoubtedly made famous by the film of the same name starring Brad Pitt, Seven Years in Tibet, as is usually the case, is a better book. The story is visually stunning on screen, but the hardships and troubles Heinrich Harrer and his partner experience getting to and surviving in the Himalayan kingdom are revealed in more affective and detailed fashion on the page. Having almost a fictional feel due to larger-than-life size of the story, Harrer’s autobiography of his transition from prisoner in India to adviser to the Dali Lama makes for amazing reading. Working as an Austrian mountaineer at the outbreak of Word War II, Harrer was suddenly “the enemy” in British occupied India as Germany attacked in Europe. Placed in an internment camp at the base of the Himalayas, Harrer bided his time and eventually escaped along with Peter Aufschnaiter. Their escape did not immediately reap benefits, however. The greatest mountain range in the world greeting them, the pair’s plight through the Himalayas tested every bit of integrity and will to survive they possessed, and is a great travelogue by itself for anyone interested in survival stories of the range. Staggering into the Shangri-la kingdom in the Tibetan plateau months later, suffering the long-term effects of altitude sickness as well as bone and nerve issues, they hoped life would get better. Learning of the strange white men who’d found their way into his land, the Dali Lama, then just a boy, opened communication with the duo, and was soon absorbing every ounce of knowledge they had of the outside world. The rest history, it’s this relationship, and the titular seven years the two spent in Tibet that are the truly poignant side of the tale. Alastair Reynolds has been quoted as saying the only good sci-fi is sci-fi that is “fictionally interesting”. Not a politician’s statement, the author was aiming at putting value on the entertainment side of the genre—big concept, big story sci-fi as it were. And his work shows every indication of walking the talk. 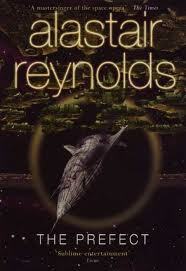 Pedestrian prose that assumes nothing of the reader, plot holes ignored in favor of plot twists, and theme taking a backseat to action, Reynolds excels at producing the tropes of Golden Era sci-fi: flashy space battles, cool tech, and fast-paced stories that grab you and go. His 2007 The Prefect is no exception. Returning to Revelation Space after a four year hiatus, The Prefect is the story of Detective Tom Dreyfus and his fight to keep the Glitter Band in the hands of existing powers. Defining ‘fragmented society’, the Glitter Band is a 10,000 strong collection of inhabited space modules orbiting a sun. Each module having its own population, culture, and laws, they nevertheless adhere to a universal voting system, a system which Dreyfus’ prefecture is responsible for protecting the integrity of. When a fraudulent voting scam coincides with a gruesome piece of sabotage that destroys one of the modules, Dreyfus and his team, Prefects Ng and Sparver, head out to solve the mystery and put an end to the voting issue. It isn’t long, however, before they themselves are calling for a vote from the citizenry of the Band. The choice whether or not to allow the Prefects to use weapons, the threat is more than the collective might of the modules may be able to handle. 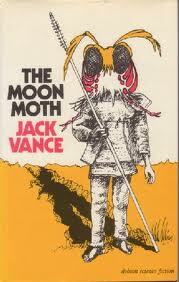 Neither prolific or close-mouthed, Jack Vance has written a few dozen short stories in his career. And of these, “The Moon Moth” is the best. Period. Full stop. End of story. Thus, The Moon Moth & Other Stories is worth owning for the title story alone—or any other collection which contains it, for that matter. But before I get ahead of myself, the following is a rough breakdown of the eleven stories in the VIE collection. “The Kokod Warriors” – A funny caper involving mini-warriors on a touristy planet. (George R.R. Martin may or may not have taken his inspiration for “Sandkings” from this.) This story can likewise be found in a few other Vance collections. “The New Prime” (aka “The Brain of the Galaxy”) - One man is thrown naked into a party; another suddenly faces a firefight with aliens; an artist must make impromptu mental creations; a relic hunter has his loyalty tested. This is one of Vance’s better ideas given the insightful ending which draws these threads together. “The Men Return” - A bizarre story with ‘80s computer animation imagery. Evolution has never been so surreal. If there is a literary side to science fiction, Thomas Disch is standing on the horizon holding Camp Concentration, his 1968 creation, in the air. Paralleling classic literature, utilizing the tropes of sci-fi to full effect, and written in a sublimely deft hand, the novel has a gravitas the majority of writers in the genre simply never approach, let alone utilize. 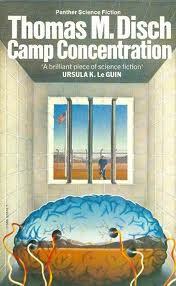 Cover copy provided by Ursula Le Guin, Brian Aldiss, and Samuel R. Delany, the company is more than apt. Camp Concentration is the story of Louis Sanchetti, conscientious objector, and his resulting imprisonment in an experimental American prison. A strain of syphilis having been isolated and enhanced, when injected in humans the result is a slow but drastic improvement in memory, insight, and all things intelligence. It also puts a cap on life at nine additional months.